What better way to decorate your table than with this elegant topper. This project features Sue Box designs and in-the-hoop quilting, beautifully framed with a curved piping edge. 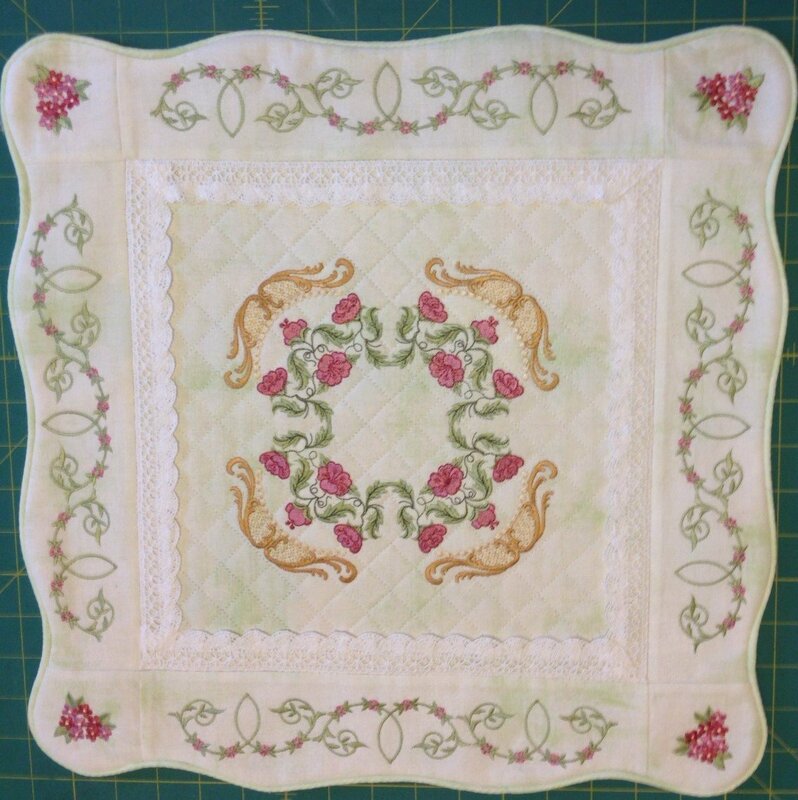 Join us for this two-day workshop at Patty’s Sewing Center to create your own table topper under the expert tutelage of Jane Grove, free lance Project Designer and Creator, Accredited Teacher, Author and, Award-winning Quilt maker from Australia. Includes lunch. Fabric/Trim/Batting Kit required for class. Grace Table Center Workshop Designs required for class.